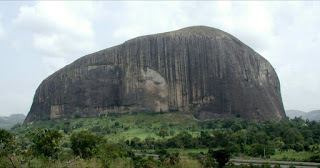 The Niger State Government has revoked plots of land in possession of private and corporate organizations around the tourist site, Zuma Rock in Tafa Local Government Areas of the state. This was contained in a statement by the Commissioner for Information, Culture and Tourism, Jonathan Vatsa, on Monday in Minna. It said the land was revoked in overriding public interest and preservation of the natural endowment of the land. The statement, which disclosed that only seven persons were allocated the 248 hectares of land, added that some of the owners would be considered for new allocations. The statement read: “The approval for the revocation was contained in a memo to Mr Governor dated March 14, 2016 and signed by the State Commissioner for Lands and Housing, Alhaji Haliru Jikantoro. The statement revealed the beneficiaries as Aso Savings and Loans with two allocations, Minna Economic Regeneration Services and Shelter Plus Nigeria Limited. Others are Grand Towers Plc, Grand Towers Plc, UAIA and Umaru Bature. It directed the affected organizations and individual to return the Certificates of Occupancy in their possession and settle amount outstanding within three months. The statement also warned those engaged in illegal stone crushing and granite quarrying at the site to desist or face the full wrath of the law. It stated that such parcels of land belong to the state government and commercial activities can only be done through government permission.